Let me stipulate that trying to evaluate a Supreme Court nominee based on a 30-year old law review article is a bad idea. That said, some of the issues that Obama nominee Merrick Garland wrote about in the mid-1980s are still relevant today. These issues have surfaced, surprisingly enough, in cases involving occupational licensing and teeth whitening. Before becoming a judge on the D.C. Circuit, Merrick Garland was an attorney at Arnold & Porter and a professor at Harvard Law School, where he taught antitrust law. He wrote several articles for the Harvard Law Review and Yale Law Journal on the scope of judicial review for administrative regulations and the state action doctrine. In the articles, Mr. Garland argued for a deferential, non-intrusive role for the judiciary. Courts should review administrative regulations to ensure fidelity to the intent of Congress and should not preempt the policy decisions of states through antitrust law or by restricting the state action doctrine. The state action doctrine immunizes state regulations from challenges under the Sherman Act. In order to receive immunity, the challenged restraint must be "clearly articulated" as state policy and "actively supervised" by the state. California Retail Liquor Dealers Association v. Midcal Aluminum, Inc., 445 U.S. 97, 105 (1980). At the time Garland wrote his article, some had argued that the state action doctrine should be narrowed to allow for the preemption of "economically inefficient" state regulations, especially when the regulations originated from the political efforts of private parties who stand to benefit from the restraint. The judiciary should not interfere under the aegis of the antitrust laws with a state's political decision, however misguided it may be, to substitute regulation for the operation of the market. Despite protestations, the revisionist proposal is little more than a return to the era the Court left behind when it repudiated Lochner v. New York. The substitution of 'antitrust' for 'due process' and 'economic efficiency' for 'liberty of contract' does not make the assault on democratic politics any more palatable. Garland, Antitrust and State Action: Economic Efficiency and the Political Process, 96 Yale L.J. 486, 487-88 (1987). Thirty years later, this same debate about economic liberty and the state action doctrine has resurfaced in the context of occupational licensing--specifically teeth whitening. Like many professionals, dentists are licensed and regulated by state dental boards. Those who are not licensed are prohibited by state law from practicing dentistry. 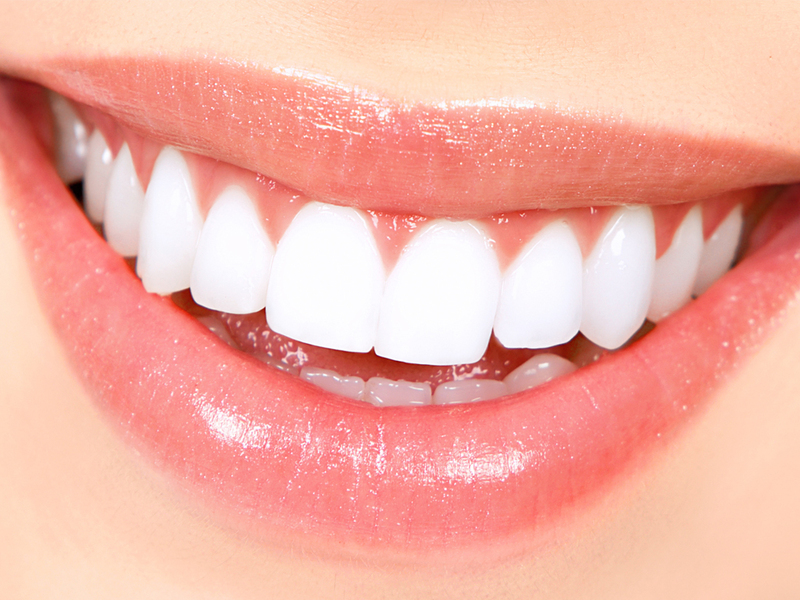 There is some dispute, however, about whether teeth whitening procedures -- i.e. shining an LED lamp into the mouth of a patient after application of a peroxide-based whitener -- can be performed by non-dentists. Not surprisingly, dentists say no. The North Carolina State Board of Dental Examiners, for example, issued cease-and desist letters to non-dentists offering teeth whitening services. When the Federal Trade Commission brought a lawsuit against the Board claiming that it was improperly seeking to protect its members from competition, the Board argued it was immune under the state action doctrine because it was a government agency. The case went all the way to the United States Supreme Court, which held in a 6-3 decision that the Board was not immune because it was not "actively supervised" by the state. North Carolina State board of Dental Examiners v. Federal Trade Commission, __ U.S. __, 135 S.Ct. 1101 (2015). In clarifying and narrowing the state action doctrine, the Court explained: "When a State empowers a group of active market participants to decide who can participate in its market, and on what terms, the need for supervision is manifest." In another case decided a few months later, teeth whiteners challenged a ruling by the Connecticut State Dental Commission that only a licensed dentist could shine the LED light into the mouths of customers during teeth whitening procedures. Instead of an antitrust case, this was a constitutional challenge based on the Equal Protection and Due Process Clause. The Second Circuit Court of Appeals rejected the challenge, however, finding that there was a rational basis to uphold the regulation because, however tenuous, there was at least some evidence that LED lights may cause some harm to some consumers. Sensational Smiles, LLC v. Jewel Mullen, 793 F.3d 281 (2015). After noting that this was not an antitrust case, the Second Circuit explained that even if the true purpose of the regulations was naked economic protectionism, that still would be constitutional. The Second Circuit's Sensational Smiles decision has been criticized, particularly from the right. A few weeks ago, George Will devoted an entire column attacking the teeth whitening cartel and arguing for more aggressive judicial review of economic regulations. If the Supreme Court refused to take the appeal, Will argued, government would have "an unlimited licence ... to impede access to professions, reward rent seekers and punish consumers, thereby validating Americans' deepening disdain for government." While the Supreme Court recently declined the cert petition in Sensational Smiles, this issue is likely to come before the Court in the next few years because there is a clear Circuit split between the Second and Tenth Circuit on one side and the Fifth, Ninth and Sixth Circuits on the other side, who reject economic protectionism as a rational basis for regulation under the Fourteenth Amendment. While I do not presume to know how Judge Garland would answer these questions today, it is noteworthy that he previously argued that courts should defer to state policy decisions even if the decision was economically inefficient and the product of political pressure from market participants. Both the Second Circuit's opinion and Garland's law review article argue that scrutinizing these types of economic regulations would lead to a return of the discredited "Lochner era," where a conservative Supreme Court invalidated New Deal legislation based on notions of economic liberty. "Do you agree that naked economic protectionism is a legitimate basis for government action?" "Have your views on the state action doctrine changed since you wrote that law review article?" "What role does economic theory have in the judicial review of state or federal regulations?" "Do you think the current Supreme Court is in danger of returning to the Lochner era?" "Where do you get your teeth whitened?" But since the Republicans do not appear willing to hold a hearing, all that we can do is read a 30 year-old law review article and speculate as to how Judge Garland would answer these questions. Law360.com published an article that I wrote about a recent divided Fourth Circuit decision on the pleading standard for a motion to dismiss an antitrust conspiracy. In the article, I ask whether Twombly's "plausibility" standard is a type of Rorschach test that reveals a judges preconceived notions. Is there an objective standard that can be consistently applied? Or is "plausibility," like beauty, in the eye of the beholder. Lastly I offer some practical advice for antitrust litigators when drafting a complaint or asserting/opposing a motion to dismiss. Click here to read the Law360.com article.